Triathlon is an event that can bring fear to many and in others, stimulate a desire to push their own personal limits and answer the question, could I? Anybody can do a triathlon if they have support, encouragement and follow a well written program. 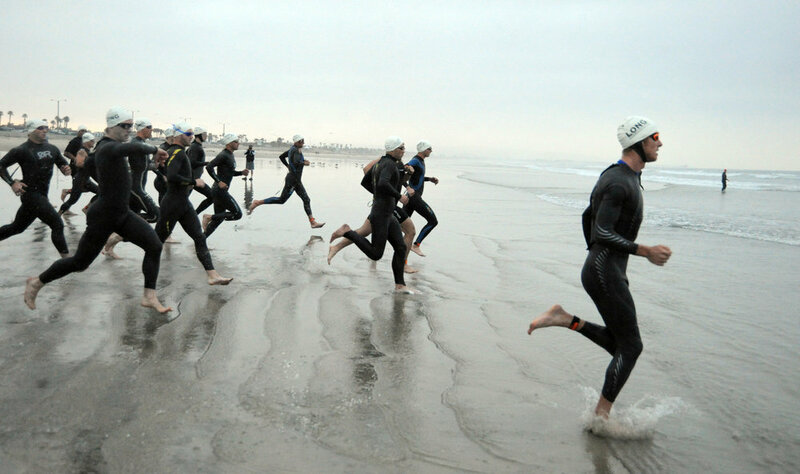 The following article will outline the basics to succeed in your first enticer triathlon. It provides a primer for you to understand the world of triathlon and becoming a triathlete - from the swim all the way through to the run. The article will cover the main aspects of swimming, cycling and running. This, combined with the six week program available on our website, will see you fit enough, smart enough and confident enough to toe the line at your first triathlon. It won’t be easy but it's not going to be as hard as you think. Firstly, let us dispel the myth that only super humans can do a triathlon. I understand that the mere mention of the word conjures up images of extremely fit, lean and tanned individuals who swim like fish, ride like they have a motor and run like they stole something. They inspire us but at the same time their herculean efforts scare us. It needn’t be like this. Triathlon is an everyman sport, a sport that allows you to test your ability in the three disciplines that comes so naturally to us as humans. We learn to swim as children as a right of passage but we never take it further. Our fondest memories as a child was probably when we first balanced on two wheels and gained true freedom to travel relatively large distances with little effort. Finally our ability to run is the ultimate success of our evolution. We have the genetics and the biological tool kit to do these three disciplines with a little bit of effort, but our mind gets in the way and prevents us from achieving. Secondly, let us correct the naming of triathlon races especially the ‘sprint’ and ‘enticer’ races. While I know what the triathlon community was thinking when they called it an enticer as they were obviously attempting to encourage people to come into triathlon. But unfortunately it is not very enticing for a first timer to swim 300m, ride 10km and run 3km and have their efforts reduced by calling it an enticer distance like you are in pre-school. The next level of triathlon naming is no better and continues to scares people away. A 750m swim, 20km and 5km run is called a ‘sprint’ triathlon. Even at his fastest a professional triathlete like Jonathan Brownlee does a ‘sprint’ triathlon in an hour! Hardly a sprint. So no matter what distance, a triathlon is a great achievement and one that not many people undertake in their lifetime. Your goal for this first triathlon is simply finishing even if you have to walk the final 2km of the 3km run. Let’s discuss the individual disciplines and break them down to give you the confidence that this is not an impossible task and, with a bit of work, you have the ability to do this event. Let’s face it, the swim can be downright scary. You are right to be apprehensive, but it is not a reason to walk away from this sport. There are ways around it if you have a fear of open water swimming. Swimming is actually the easiest on your body out of the three legs. You are fully supported by the water and studies have shown that swimming is approximately 70% technique and 30% conditioning. So our first step is to make sure that every stroke that you take is efficiently moving you forward not simply thrashing to keep your head above water so you can breath. Ideally the local pool will have a coach that can have a look at you and suggest stroke changes otherwise you can get a friend to film your stroke at the local pool. Once you have done this compare your stroke to a professional swimming video online, make some dry land changes in front of the mirror and then hone these skills next time you hit the pool. Even a small change in your stroke or body position can yield amazing results. Remember that if you can swim 50m without stopping in the pool then you can do a 300m open water swim after a few weeks of training. Once again your need to do this 50m as efficiently as possible. I personally love the golf drill in swimming. You will be required to count the number of strokes it takes you to travel 50m and add this number to your time. If, for example, you swim 50m in 55 seconds with 40 strokes your golf score will be 95. The next time you swim 50m you will try and lower this score. Either by reducing your time (swimming faster) or by making your stroke more efficient/longer. No matter what way you attempt to reduce your score it will bring about a positive change in either your fitness or your technique. Most find that by repeating this drill both fitness and technique improve dramatically. Finally I use the myth of Milo of Croton to emphasise my point for adaptation training which can be seen in the training program we have available for purchase. You may know of the epic mythical feat of Milo but not necessarily his name. His feat was to lift a newborn calf every day until it reached maturity so in the end he could carry a fully grown bull. I am not advocating that you carry a farm animal around with you for cross-training, I am however suggesting you apply the principle of increased adaptation to your training. 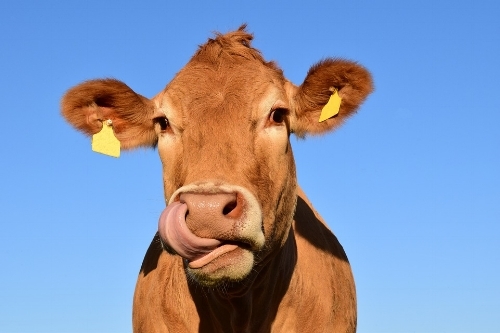 If you think of the 300m swim as the bull you wish to lift over your head in six weeks then your new born calf will be the 50m swim of your local pool. Over time you will naturally increase your ability to swim longer distances and develop your cardiovascular and musculoskeletal system to cope with the demands that you will be placing on them. The bike has the reputation of being the easiest leg and on race day you will see the guns killing themselves on the bike and blowing the course away. Don’t be stressed when you see other riders go past you at breakneck speeds. You will be riding to a plan which will be to divide the bike into three sections. Recovering from the swim. As you get out of the water all your blood will be in your upper body. Add to this the fact that you have been essentially lying down with your arms above your head for half the time you are naturally going to be a bit wobbly when you finally stand up for the first time. Wait until your fingers hit the sand to stand up and resist the temptation to sprint up the beach to get to your bike. Take it slowly and once at the bike you are going to slowly get yourself in the groove. Make sure your helmet is done up and your glasses are in place. The first kilometre is just for waking your legs up; also use this kilometre to wash out your mouth with your water bottle and start the routine of drinking regularly. Not necessarily for what you are doing now but for what will come with the run where you will need a processed storage of water for your musculoskeletal and cardiovascular system. You will gradually increase your efforts on the bike as you feel the blood return to your head and body. This may take a couple of kilometres for some. Don’t panic and push it if it’s not there, it will come. Building up your speed. Once you have got your head and legs fully functioning you can now start working on increasing the intensity and putting in a solid effort for the next 7 to 8 kilometres. Work on a high cadence and add gears when you can as long as you can maintain the same cadence. Getting ready for the run. For the final kilometer of the ride you will need to slowly reduce your effort and get your legs ready for the run. Occasionally you should stand on your pedals and stretch your calves, hamstrings and lower back. You want to be as loose as possible when you get off the bike and make the transition to the run as smoothly as possible. In terms of training we have three goals. The first step is to get you used to being on a bike again and getting you and your bike ready to be on the road again. Get your bike serviced at a local bike mechanic and make sure you have all the appropriate safety equipment. Helmet, shoes and glasses are a must. Carry spares to be able to change a flat - practice at home so you know how to do this before you are stuck on the side of the road. Just like Milo of Croton you need to gradually increase your distances. There will be the tendency to go too hard too early. Resist that temptation and increase your distance and intensity gradually. This is true for all three of the disciplines. Balance your training between the four pillars of fitness. Endurance - long slow rides to increase your saddle time. Strength - pushing a big gear at a lower cadence. Stamina - intervals sessions. Speed - high cadence at lower resistance. Be intelligent when you do these sessions; warm up fully and cool down. Make sure you hit the target prescribed and don’t go too hard and burn yourself out. The run is a combination of three essential elements: your training, the execution of your race plan and your grit and determination. Trust you training plan and follow what is prescribed. Many of you will want to go too fast and believe that by doing it at a higher intensity then you will be quicker on the day. Others will want to do longer distances than prescribed or add sessions thinking that the program is too easy for them. The program works if you trust it. Just remember we want to cover the distance on race day and ignite a love for triathlon - not have you completely wrecked vowing never to do another. Your race plan will need to be considerate of your skills in each of the three disciplines. Make sure that you use your strength to bolster your weaker legs. If you are a strong swimmer you just want to save energy on the swim leg so that you can burn more in the bike and run. It is not much good for you to be first out of the water if you can’t finish the bike leg through exhaustion. Visualize the race plan in your head, write it down and execute on the day. You will know that you have executed it perfectly when you are in the final few hundred meters of the run and you have just enough to cross the line. Many triathletes have one or two perfect races in their whole career. You can count on something not going to plan on race day, but that does not mean that you panic and throw the race plan out of the window. This when you reach into your bag of tricks and bring out the big daddy of them all - grit and determination. This is a measure of your ability to dig deep, push through and succeed even though it is hard. Just remember the harder something is in life, the sweeter your sense of achievement will be when you complete it. Unfortunately, as the run is the last leg, it has to deal with the flow on effect of anything else that may have not gone to plan before it. So the majority of the time the run leg will be fought through searing pain and sometimes bitter frustration. It is these times when you are down that the true superstar in you will rise up. In the end this first triathlon is just about finishing, so walk if and when you need to so you can ultimately enjoy the finish line and the sense of achievement that goes with crossing it. Just remember this is the first punctuation mark in an amazing story that you tell with your triathlon career. What you will learn from your 6 week journey can be translated into every aspect of your life. From your relationships with others to succeeding in your job, the lessons are always the same. From dreams, planning and hard work will come success. In future posts we will put in programs for longer distance races, as well as handy race day tricks and pointers for training and racing smarter. Remember it's your goal, but we will share the journey with you and help when needed.